Members of the Ohio Statehouse historical re-enactment group, 1st Ohio Light Artillery, Battery A, will hold their annual Grande Winter Ball on Saturday, January 25, 2014. 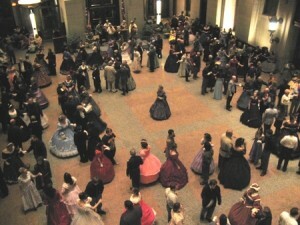 The Grande Winter Ball will take place in the Ohio Statehouse Atrium from 7 to 9 p.m. Individuals of all ages are invited to attend the Grande Winter Ball hosted by Civil War re-enactors, 1st Ohio Light Artillery, Battery A. Come dance or watch.Learn how to reel or waltz. Dress in attire of the Civil War period or come as you are. An optional dance practice will be held the same day from 3 to 4 p.m.
For entry, a tax deductible donation of $10 per person or $15 per couple will be accepted. A donation of $5 per student will be accepted. Checks or money orders should be made payable to “1st Ohio Light Artillery, Battery A,” a 501(c)(3) non-profit Ohio corporation (tax identification number: 26-3648665). To make sure you are able to enter, please both send your RSVP and mail your donation soon enough to ensure it is received no later than January 17, 2014. Please send RSVPs, identifying the name(s) of those attending to: statehouseball@live.com. 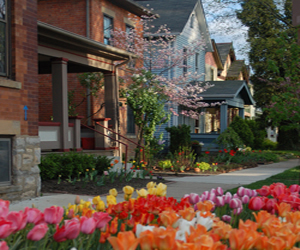 For more information, contact Mike Rupert at 614/728-4185. The 1st Ohio Battery A exists to serve the state of Ohio and its citizens by being accomplished living history educators. The unit’s mission is to promote the Ohio Statehouse and its identity as a site of civic involvement, education and visitation. Battery A members educate Statehouse visitors throughout the year by firing the four Statehouse cannons for parades and ceremonies and host historic re-enactments and events. Battery membership is made up of men and women and includes volunteers and Statehouse staff. Members of the Battery dress in Civil War Union uniforms and in period civilian clothing from the 1860s to acknowledge and celebrate the period in which the Ohio Statehouse was built. The Ohio Capitol Building was restored during the 1990s to its original Civil War era appearance. More information about the 1st Ohio Statehouse Light Artillery, Battery A can be found under the education tab at www.ohiostatehouse.org.